New research led by Eric Wilcox, Ph.D, an atmospheric scientist at Nevada's Desert Research Institute (DRI), outlines new insights into how these high concentrations of black carbon aerosols may also reduce atmospheric turbulence and enhance relative humidity near the Earth's surface, exacerbating both human health impacts and extreme weather events. The study, "Black carbon solar absorption suppresses turbulence in the atmospheric boundary layer," appears this week in the early edition of the journal Proceedings of the National Academy of Sciences (PNAS). 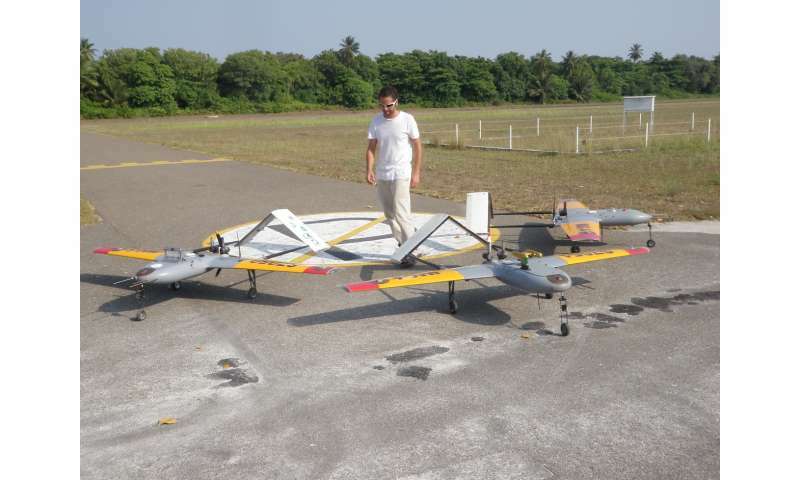 Utilizing a fleet of unmanned aerial systems (UAS) with specialized instrumentation developed by the Scripps Institution of Oceanography at the University of California San Diego, Wilcox and his colleagues for the first time measured the atmospheric turbulence and vertical flow of latent heat above the ocean's surface up to altitudes of 3,600 meters (12,000-feet) - an area of the atmosphere commonly known as the marine boundary layer. "To completely understand the effects of these harmful aerosols on our climate and the modifications they cause to clouds and weather systems originiating in the boundary layer," explained Wilcox, "you have to first understand the turbulent dynamics of the air where the aerosols reside and the clouds form." 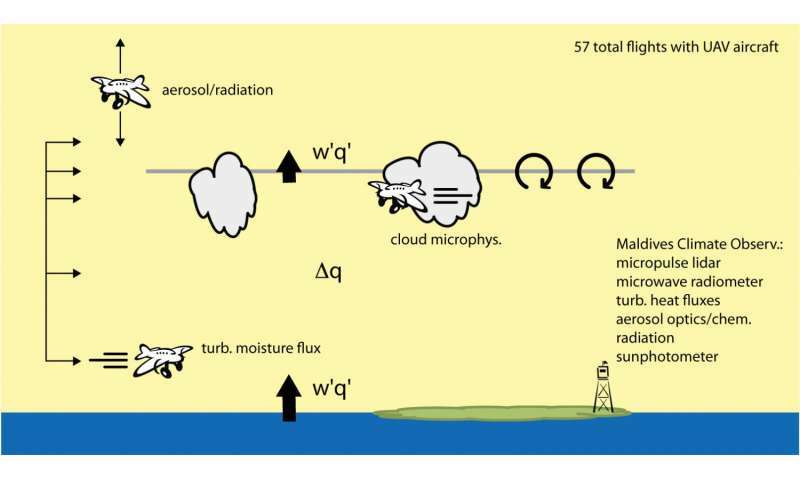 "The climate science community has long debated the impact of turbulence in the boundary layer and our research team set out to directly measure that, which hadn't been done before," he added. 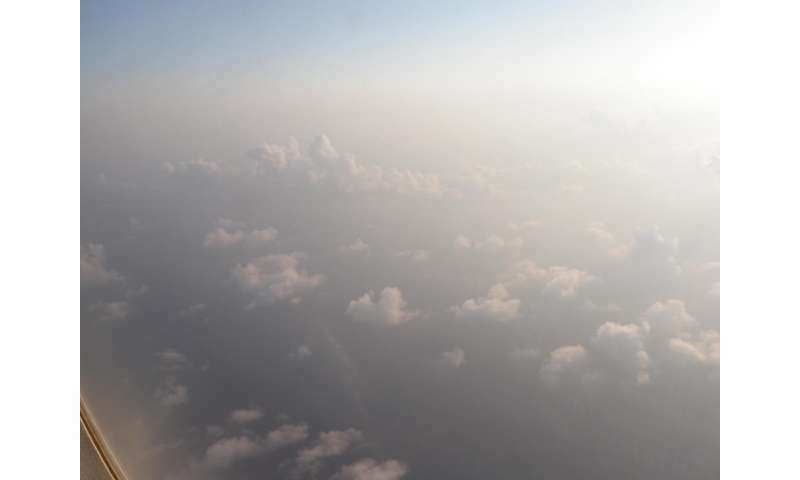 "The finding that black carbon warming of the boundary layer is suppressing turbulence is a cause for concern," explained Ramanathan, "since turbulence is one of the important ways by which pollution near the surface is transported away from human exposure. Suppressing it can increase ground level pollution."